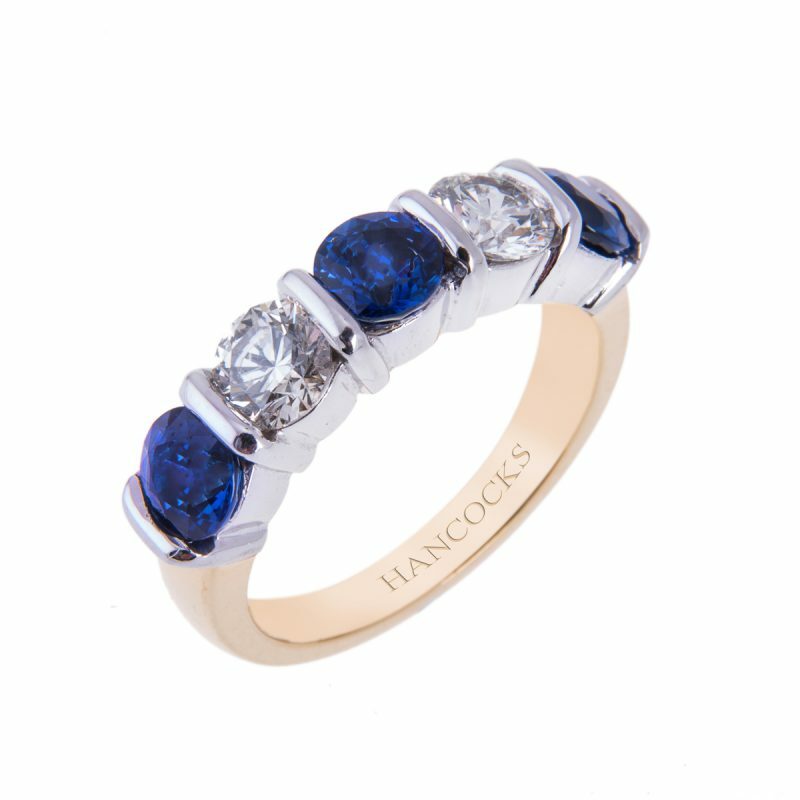 Alternate sapphires and princess cut diamonds set in a beautiful platinum channel setting to create this stunning seven stone half eternity ring. 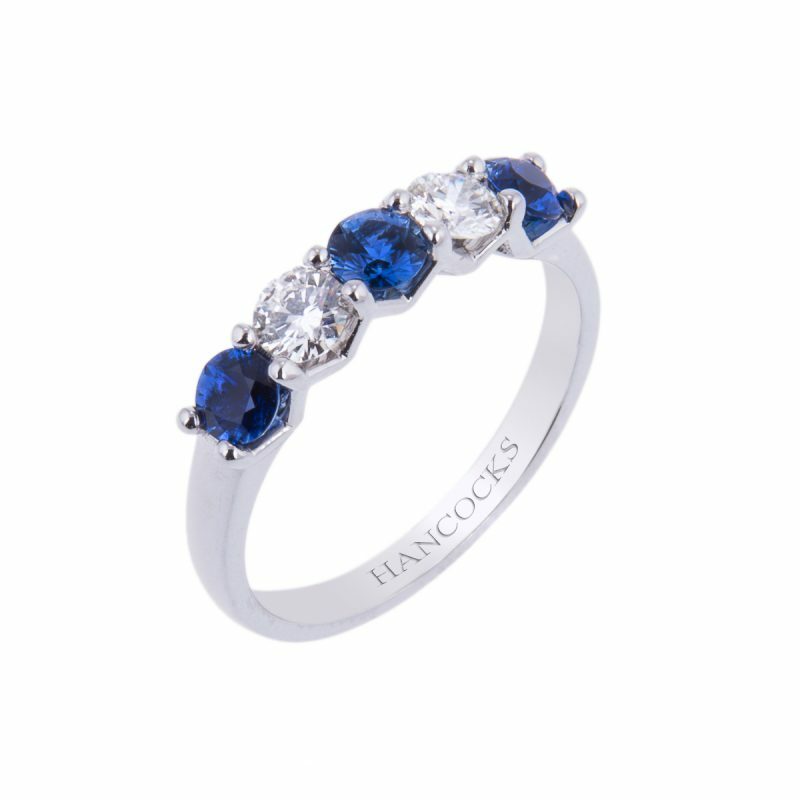 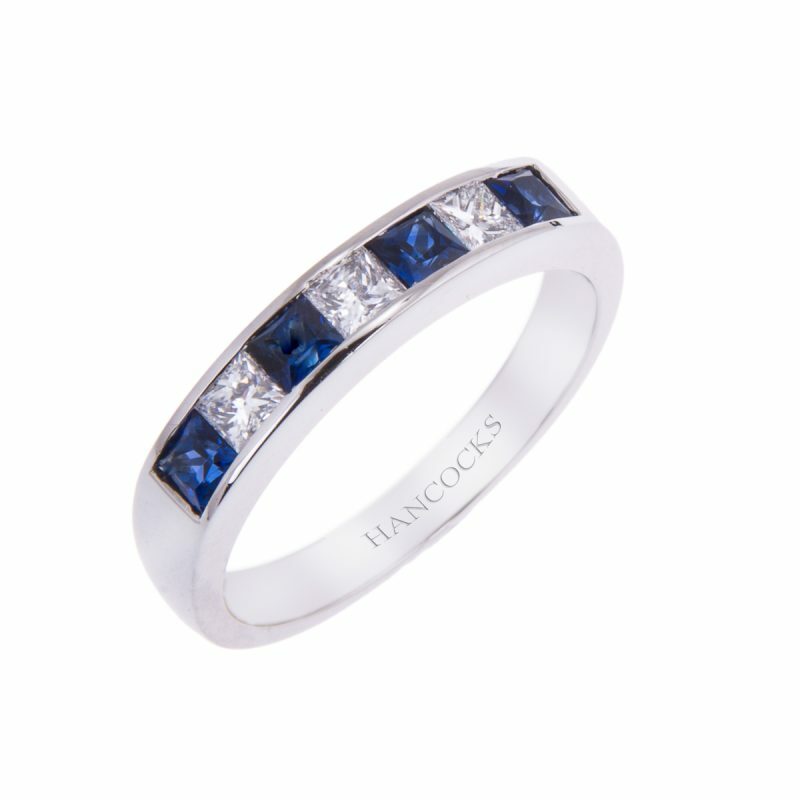 Set with 4 of the richest blue square cut sapphires, a jewel of pure romance and between each, a sparkling princess cut diamond adds a fabulous contrast to the vibrant velvety blue. 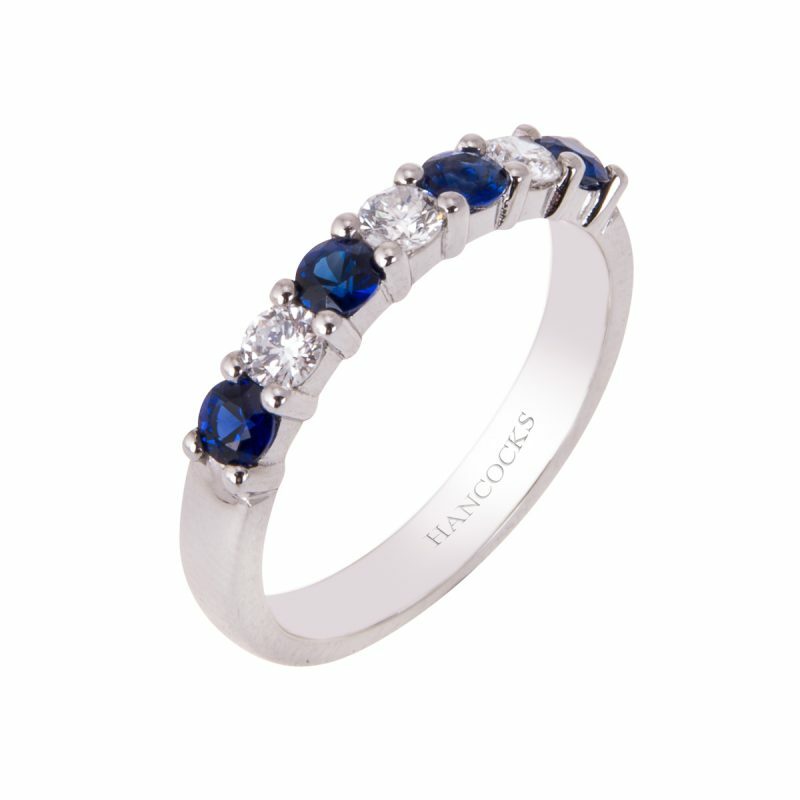 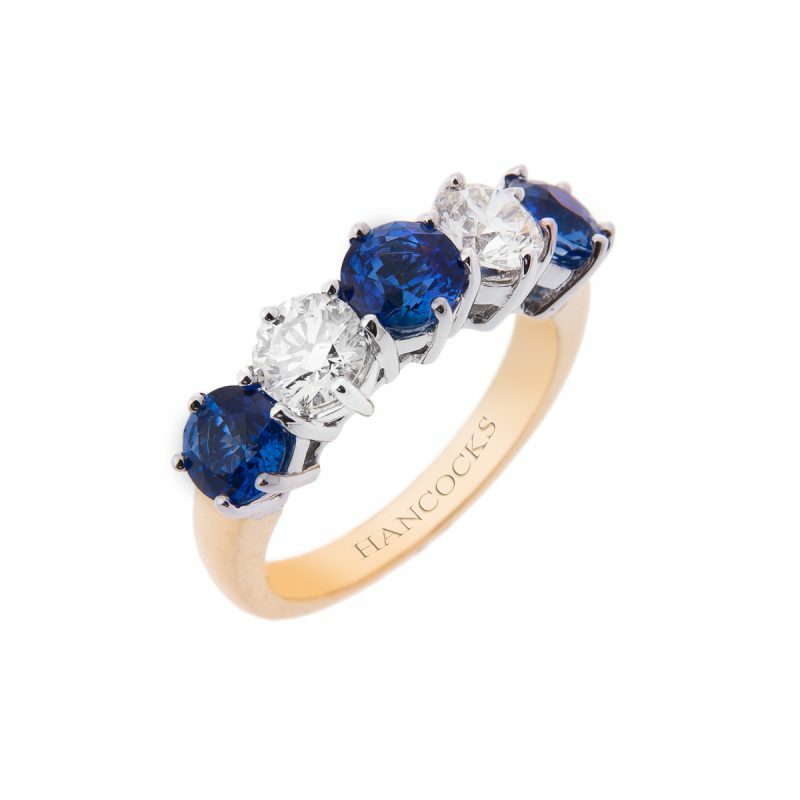 Enjoy a ring that is as beautiful as it is timeless.